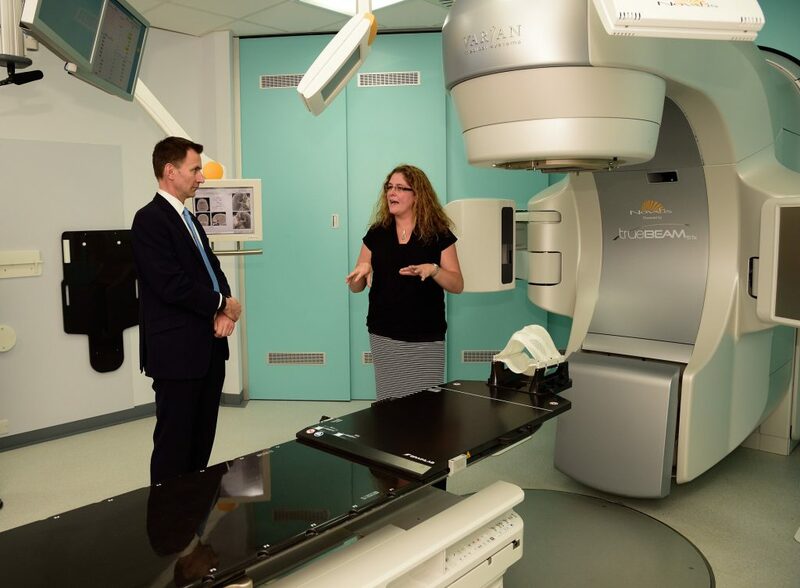 The Secretary of State for Health visited St Luke’s Cancer Centre to officially launch an innovative new form of radiotherapy that can target inoperable brain tumours. 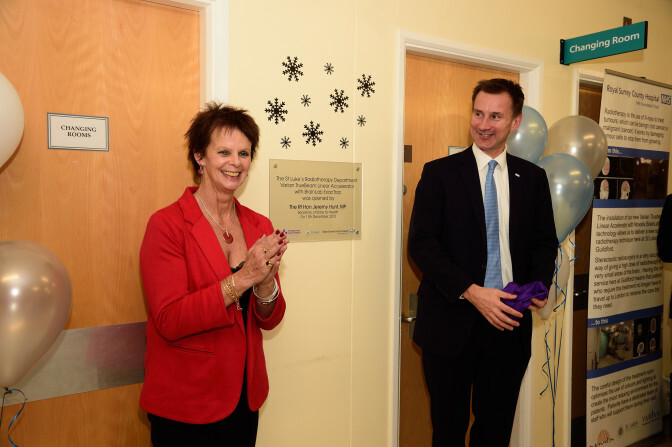 Jeremy Hunt joined staff, patients and dignitaries at a special ceremony to signal the start of Intracranial Stereotactic Radiotherapy on Friday, December 11. The cutting edge technique, which can be used on both cancerous and benign tumours, has been made possible after £1 million was raised through fundraising to help purchase the state-of-the-art equipment. Intracranial Stereotactic Radiotherapy is highly accurate and allows patients to receive a high dose of treatment in one sitting, rather than having to attend multiple sessions over a number of weeks. The machine, TrueBeam STx with Novalis Radiosurgery Program, works by precisely aiming radiotherapy beams at the tumour from many different directions around the patient’s head. The system combines the latest technologies for imaging, treatment planning, and delivery from two leading medical device manufacturers Varian and Brainlab to offer new and advanced possibilities in radiation treatment for patients. Doctors use specialist software to pinpoint the exact location of the growth and then use a robotic couch, to accurately position the patient. Due to its precision, less of the patient’s healthy tissue is exposed to radiation, which reduces the risk of side effects. The technology can also be used for the treatment of tumours outside the brain, for instance in the lungs, liver, prostate and pancreas. The specialist equipment was provided by Brainlab and Varian, who both sponsored the launch event and clinical talk. Graham Healey was the first patient to undergo Intracranial Stereotactic Radiotherapy after it was determined that surgery on a brain lesion could prove problematic. The 66-year-old has previously undergone both chemotherapy and radiotherapy for other growths.